In the Control Panel, go to Settings → Plugins and click the “Install” button for Pic Puller. 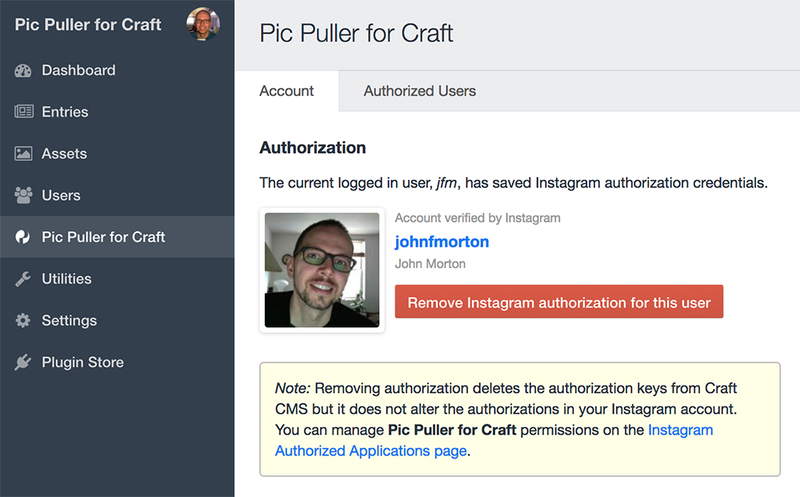 Pic Puller integrates Instagram into Craft CMS. Pic Puller for Craft is an approved Instagram app that exposes the Instagram API into Craft with easy-to-use Twig variables. See PicPullerDocumentation.md for full documentation.